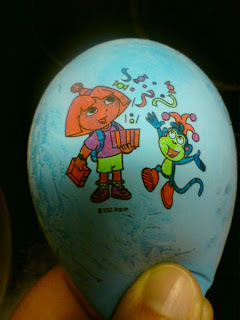 Remember that Dora balloon I colored several weeks ago? I rediscovered it today. It had shrunk significantly and that made the colors darker. Kewl!